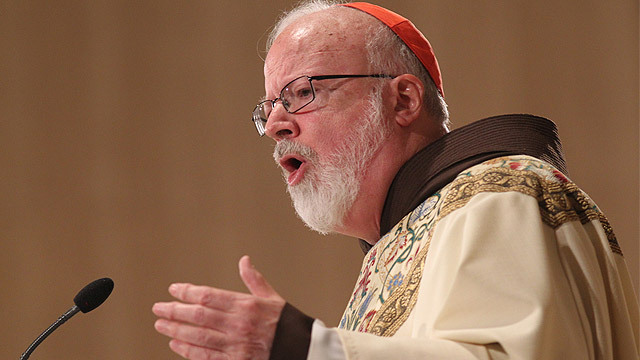 Below is the prepared text of the homily Cardinal Seán P. O'Malley delivered at the March for Life Vigil Mass celebrated at the Basilica of the immaculate Conception in Washignton D.C. Jan. 21, 2015. There is a popular diner near the Cathedral of the Holy Cross. One of the items on the menu is called "The Emergency Room" consisting of bacon, sausages, eggs, pancakes, french toast, hash browns. The clientele are people from the hood, a few Archie and Edith Bunkers, Ralph and Alice Kramdens, cops and priests. 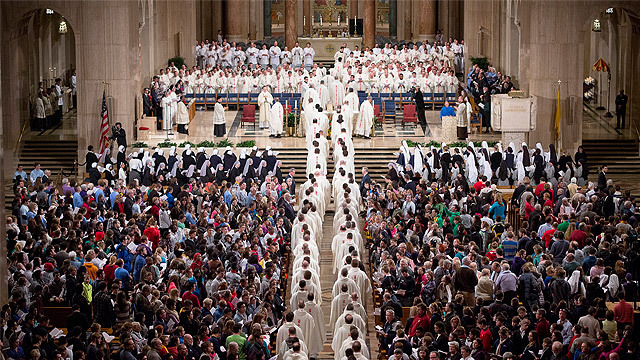 It's the kind of place you could invite Pope Francis to. Juke box music from the 50's and 60's adds to the atmosphere. While having dinner there last week with Fr. O'Leary and Fr. Kickham, the phone rang. I presumed it was a telemarketer. It was Oprah Winfrey. I almost had to order "the emergency room." She called to tell me she was reading cardinalseansblog.org and wanted to thank me for the comments I had published on the blog. You have to feed the blog. I had shared some reflections about the film Selma. To me, one of the very moving aspects of the film is to see how people of faith came together to witness to the dignity of every human being made in the image and likeness of God. They were Protestant, Catholics, Jews, Greek Orthodox, standing together courageously. 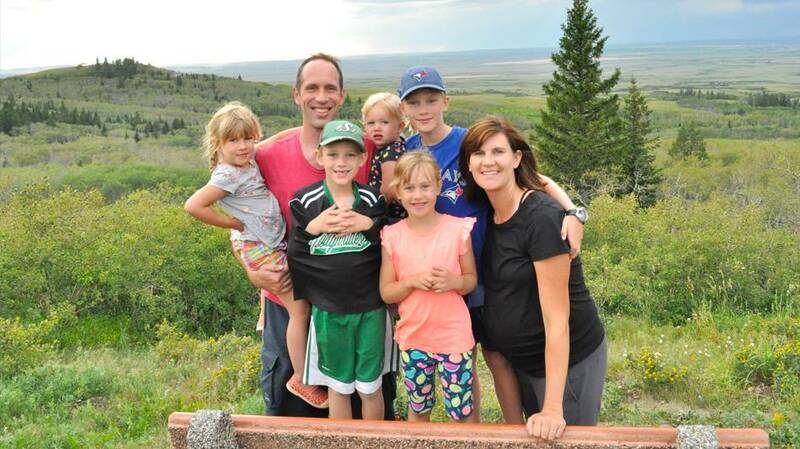 One of the ministers from Boston, a 38 year old white man, Reverend James Reel, was beaten to death leaving behind a wife and four small children. He had served for four years here in Washington D.C. at All Souls Church on 16th Street, just across from my offices at the Spanish Catholic Center. At the time of his death he was working for the Quakers in Boston as director of a housing program focusing on desegregation. Martin Luther King called him the defense attorney of the innocent in the court of public opinion. Today that is our job. The quest for human rights and solidarity brought together people of faith to try to repair the world --to use the Jewish expression. 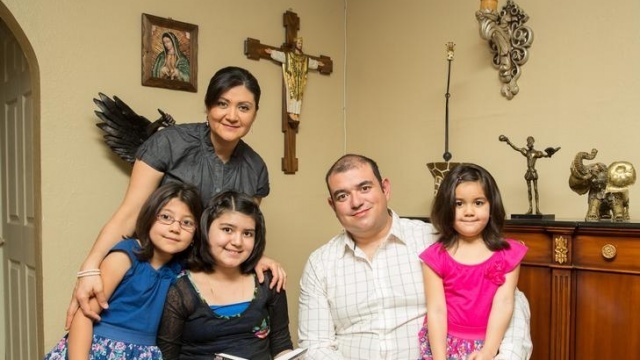 In Evangelii Gaudium, Pope Francis says, "No one should demand that religion should be relegated to the inner sanction of personal life without influence on societal and national life... The Church cannot and must not remain on the sidelines in the fight for justice." We are called upon to build a better world. "The Church's social thought," says Pope Francis, "offers proposals, works for change and constantly points to the hope born of the loving heart of Jesus Christ." In the history of our country, people of faith have worked together to overcome racism and injustice. Now we come together to be the defense attorney for the innocent unborn and the vulnerable elderly and all those whose right to life is threatened. We shall overcome. As a matter of fact, we are overcoming, but it is a well kept secret. We have all heard of Greek Mythology and Roman Mythology. I want to talk about some American Mythology. There are many myths that are circulating and cause a lot of harm, especially since our politicians often espouse them. First of all, you will hear that abortion is a woman's issue; secondly, that most Americans are pro-choice, pro abortion; and thirdly, that young people are overwhelmingly in favor of the pro-choice position. Earlier this month in an op-ed on the editorial page of the New York Times entitled, The Abortion Stereotype, Razib Kahn observes that in polling done over the last 20 years, women have been consistently more pro-life than men. Despite the impression that a solid majority of Americans back legal abortions, the Gallup polls indicate that about the same number of Americans identify as pro-choice as do pro-life, but in fact 58% of Americans oppose all or most abortions. If abortion depended on the ballot box rather than an activist court, it would be greatly reduced. Studies have shown that women are more pro-life than men. Certainly the maternal instincts and closeness to the source of life, dispose women to be more protective of children. So, despite the talk about "the woman's body" and the "woman's choice", oftentimes the big supporter of abortion is the man who is quite happy to invest all reproductive responsibility in the woman. This creates a situation in which men can easily rationalize their irresponsibility towards women who opt not to have an abortion. According to the Allan Gutmacher Institute, 80% of all abortions are sought by single women. With abortion as an option, a man can compel a woman to have an abortion by denying his responsibility or threatening to abandon her if she "chooses" to give birth. For the unwilling father, an abortion is a bargain compared to monthly child support payments. Even a majority of so-called pro-choice Americans actually favor informed consent for mothers, abortion bans in the third trimester, bans on partial-birth abortions, required parental consent for minors, 24 hour waiting periods and even abortion bans in the second trimester. These are polls by Gallup, CBS and the New York Times, not by EWTN, Catholic University and the Vatican. Another myth proclaims young people are more pro-choice, to use the terminology. Once again the polls are unanimous in showing that young Americans are the most pro-life segment of the American people. Upon her resignation in 2012, NARAL (National Abortion Rights Action League) President Nancy Keegan stated that there is a large "intensity gap" among young people on the subject of abortion. We have already seen that the majority of young people are pro-life. An internal poll by NARAL shows that 51% of pro-life young people see abortion as an important electoral issue, while only 20% of pro-choice young people see abortion as an important electoral issue. Gallup in 2010 declared that "pro-life is the new normal". Congratulations, you are normal. But you know there are some people who are using these American myths: that the majority of women, the majority of Americans, the majority of young people are pro-choice. It is a lie that is being foisted on the American people to try to convince people to embrace abortion with the flag and apple pie. We need to make sure that our political leaders are brought up to date and begin to take the pro-life ideals of Americans seriously. It is good to recall that even if all the myths were true that the American people, women and youth were overwhelmingly in favor of abortion, that would not alter the sacredness of human life and our absolute obligation to protect and defend this most precious gift that is life. In the first reading from the book of Exodus we heard about the two midwives, Shiphrah and Puah, who resisted the orders of the Pharaoh to kill the babies. They were convinced of the sacredness of each and every life and were willing to submit themselves to the wrath of the Pharaoh rather than abort one innocent child. Recently, addressing a group of Catholic doctors in Rome, the Holy Father, Pope Francis stated: "If the Hippocratic Oath commits you to always be servants of life, the Gospel pushes you further: to love life no matter what, especially when it is in need of special care and attention." The Holy Father warns the health care workers that "The dominant thinking sometimes suggests a 'false compassion,' that which believes that it is helpful to women to promote abortion; and act of dignity to obtain euthanasia; a scientific breakthrough to 'produce' a child and to consider it to be a right rather than a gift to welcome." The compassion of the Gospel is that which accompanies in times of need, that is, the compassion of the Good Samaritan who "Sees, has compassion, approaches and provides concrete help." The Holy Father tells the doctors: "Your mission puts you in daily contact with many forms of suffering. Fidelity to the Gospel of Life and respect for life as a gift from God sometimes requires choices that are courageous and go against the current, which may become points of conscientious objection." The Holy Father is reminding our Catholic Healthcare workers that they must be like the valiant midwives who refused to kill the Hebrew babies at the behest of the Pharaoh. One of the greatest challenges to people of faith in our culture is the erosion of conscience rights, the space we need as a Catholic community to carry on our ministries and works of mercy without violating God's law and our conscience. In a certain way the Rich Young Man in today's Gospel reminds us of many young people today, who are asking serious questions about the meaning of our existence, why we are here and what we should do with our lives? What is true success? What is happiness? Not only does the Rich Young Man ask the right questions, but he is asking the right person, Jesus Christ: "Good teacher, what must I do to inherit eternal life?" When I ask confirmation candidates or classrooms I visit: How did Jesus answer the Rich Young Man? Invariably, I am told: Jesus said: "Go sell what you have, give the money to the poor and come and follow me." That is correct, but it is not the first thing Jesus says. Jesus says if you want to inherit eternal life, keep the commandments. And the first commandment Jesus mentions is: "Thou shall not kill." This story of the Rich Young Man appears in all the synoptic Gospels. And Jesus' answer always begins with: "Thou shall not kill." We are all here today because we are convinced that human happiness and inheriting eternal life require us to embrace this commandment: "Thou shall not kill or to express it positively, "Thou shall protect human life." The second command Jesus mentions: "Thou shall not commit adultery." To express this positively, "practice chastity in your life." We know that unwanted pregnancies often end in abortion. Many unwanted pregnancies are the result of a culture that is always encouraging promiscuity. People who favor legal abortion claim they want to reduce the number of abortions. One of the logical ways to reduce the number of abortions would be to discourage the promiscuous behavior that is rampant in our culture. There are many instances of positive social changes that have been brought about by public consensus reinforced in advertising, educational efforts and use of mass media. The campaigns against smoking and the public backlash against the promotion of tobacco in movies and on TV has done much to curb smoking and has contributed much to a healthier America. The glamorization of promiscuity needs to be reversed by having people speak out against it the way people object to demeaning media portrayals of women and African-Americans. Like these, it is not a matter of passing laws but of changing what we deem as acceptable in society. So Jesus' first two instructions for happiness are: "Thou shall not kill, Thou shall not commit adultery." Protect innocent human life, embrace the discipline of chastity which protects the transmission of life. Jesus goes on to tell the Young Man to honor his mother and father. An important part of discipleship is respecting the family, nurturing relations, preserving the Family as the sanctuary of Life. The Rich Young Man proudly proclaims that he had observed the commandments from his youth. That is really impressive. Not every Catholic can say that. Unfortunately, the Rich Young Man was so busy congratulating himself that he was totally unprepared for what followed. Jesus says thanks for keeping the commandments, but that is not enough. Jesus tells him: "You are lacking in one thing. Go, sell everything that you have and give to the poor, and you will have treasure in heaven; then come and follow me." The young man said to himself: I am keeping the commandments, Thou shall not kill -- I'm pro-life. Thou shall not commit adultery --I follow the discipline of chastity, and now I have to help the poor with my money? It is too much. The Rich Young Man thought it was either/or, but Jesus is telling us it is both/and. We follow the commandments, we are pro-life and we help the poor. The Gospel says he went away sad for he had many possessions. How dangerous money can be when it becomes our master. Jesus said: "How hard it is to enter the Kingdom. It is easier for a camel to pass through the eye of a needle than for a rich man to enter the Kingdom of God." Chesterton once said that ever since Jesus made this statement, scientists have been trying to breed smaller camels and engineers are trying to make bigger needles! Part of the Gospel of Life has to be about loving and helping the poor. Indeed, reducing poverty will also reduce the number of abortions. Poor and low income women account for more than half of the abortions performed each year in our country. 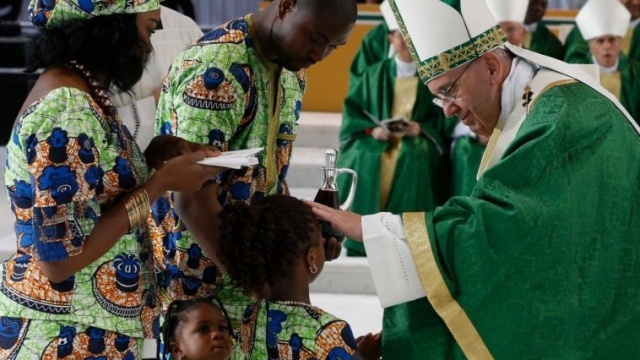 Pope Francis in Evangelii Gaudium says that just as the commandment "Thou shall not kill" sets a clear limit in order to safeguard the value of human life, today we also have to say "thou shall not kill" to an economy of exclusion and inequality. Such an economy kills. Human beings are themselves considered consumer goods to be used and then discarded. We have a throw away culture that is now spreading. The Holy Father warns us both at Lampedusa and in Evangelii Gaudium about the globalization of indifference. He says, "Almost without being aware of it, we end up being incapable of feeling compassion at the outcry of the poor as though they were someone else's responsibility and not our own." The Pro Life movement in the Catholic Church is about overcoming that indifference, indifference to the suffering of a woman in a difficult pregnancy, indifference to the voiceless child who is destined to be part of the statistic of a million killed in the womb each year, indifferent to the poverty and suffering of so many. Indifference is our greatest enemy. We see the antidote in today's Gospel. The Lord looks at the confused young man, and St. Marks writes: "And he loved him." The confused young man went away sad because he did not realize how much the Lord loved him. Had he even suspected I am sure he would have given the money away gladly, but in his insecurity and fear, he leaves. He goes away sad. Christ has given us the formula for joy in the Gospel. We must learn to look on people with love. An attitude of judgmental self righteousness is not going to change peoples' attitudes and save babies. We need to be the field hospital not Judge Judy. We need to be the merciful face of Christ in the way we promote adoption, aware of how difficult it is for birth mothers to choose that option. We also need to expand our outreach in Project Rachel to those whose lives have been devastated by abortion. To change people's hearts we must love them and they must realize that we care about them. They need the witness of our love and our joy. To evangelize is to be a messenger of joy, of good news. The rich young man went away sad. He needed to meet someone like St. Francis, another rich young man who was filled with joy after kissing the leper and giving all his money and clothes to the poor. As Pope Francis reminds us: "When St. Paul approached the apostles in Jerusalem to discern whether he was running or had run in vain", the key criterion of authenticity which they presented was that he should not forget the poor. This important principle, namely that the Pauline communities should not succumb to the self-centered life style of the pagans, remains timely today when a new self-centered paganism is growing. We may not always be able to reflect adequately the beauty of the Gospel, but there is one sign which we should never lack: the option for those who are least, those whom society discards." To me, Mother Teresa is the model of the pro-life movement because she witnessed to the preciousness of life by her care for the poor. Her first ministry was collecting the dying people on the streets of Calcutta to take them to an old abandoned Hindu temple so that she and her sisters could take care of them so that they could die with dignity, surrounded by love. She called this "doing something beautiful for God." What must characterize the pro-life movement is a special love for the poor, the marginalized, the suffering, and especially human life that is in danger of being discarded. When Helen Alvaré worked our Pro-life office she always told the Bishops: "Be positive. We are not against anything, we are for something. We are for life." At times we might be tempted to curse those who advocate for abortions and promote and defend this barbaric practice. But Paul tells us: "Do not repay anyone evil for evil. Do not be conquered by evil, but conquer evil with good." One of the wisest pieces of advice in Evangelii Gaudium is found in Paragraph 168. As for the moral component of catechesis, which promotes growth in fidelity to the Gospel way of life, it is helpful to stress again and again the attractiveness and the ideal (of the Gospel Way of Life). In light of that positive message, our rejection of the evils which endanger that life can be better understood. Rather than experts in dire predictions, dour judgments bent on routing out every threat and deviation, we should appear joyful messengers of challenging proposals, guardians of the goodness and beauty which shine forth in a life of fidelity to the Gospel. We shall overcome the indifference only by love. A love that will allow us to see in every unborn child a precious gift, a fellow human being. We must direct our love and attention to wherever life is most threatened and show by our attitudes, words and actions that life is precious, and we must not kill. We must work tirelessly to change the unjust laws, but we must work even harder to change hearts, to build a civilization of love. Solidarity and community are the antidotes to the individualism and alienation that lead people on the path of abortion and euthanasia. The rich young man left in discouragement because what Christ asked of him was difficult. The challenges we face are great and discouragement is our greatest enemy. But know that Jesus is looking on us with love, His love should energize and unite us. No sacrifice is too great, we must not count the cost, but press on with the full assurance that we shall overcome.